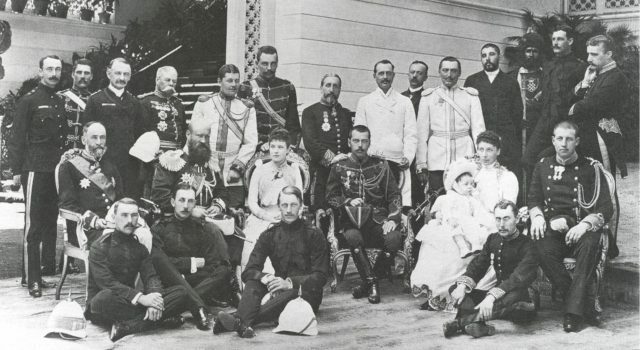 Tsesarevich Nikolai Alexandrovich visiting the royal family in Greece. 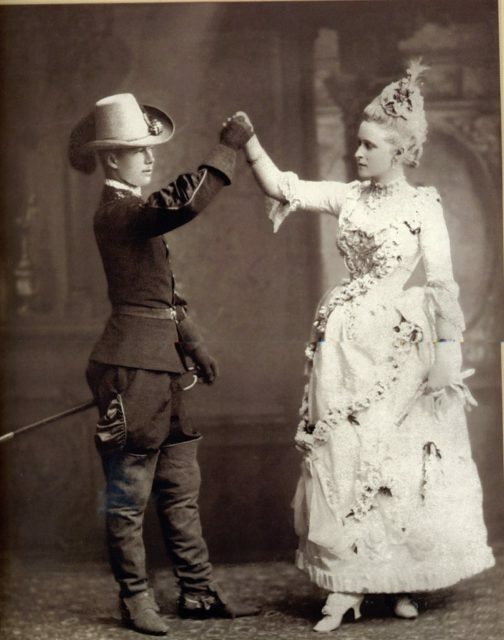 The year 1890. 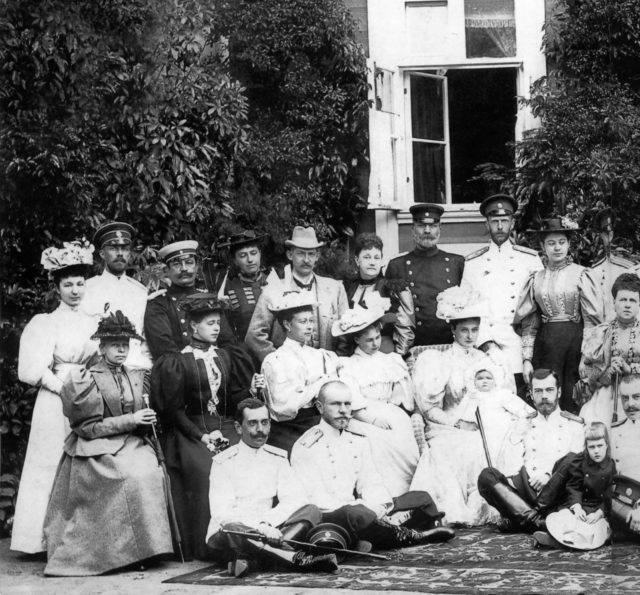 Цесаревич Николай Александрович в гостях у королевской семьи в Греции. 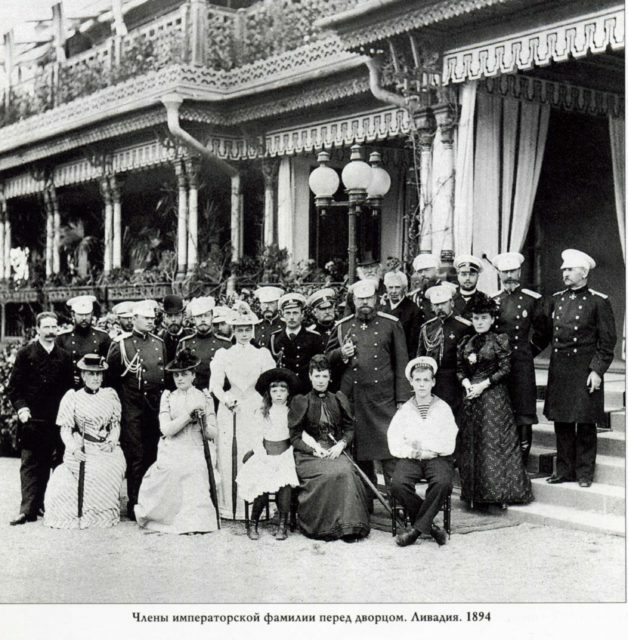 1890 год. 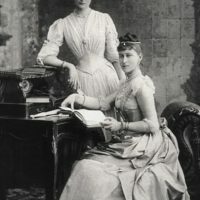 Her Imperial Majesty Empress Alexandra Feodorovna and Grand Duchess Elizabeth Feodorovna. 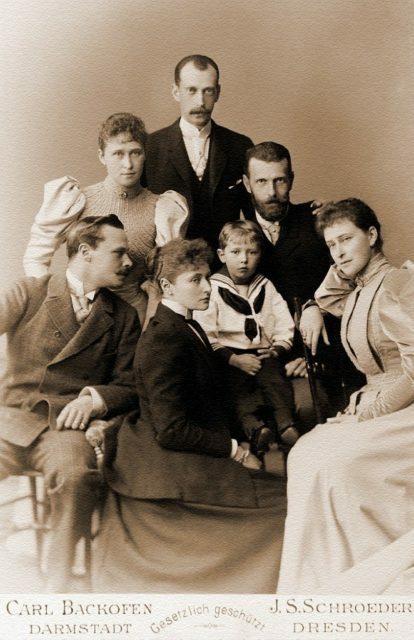 Portrait of the famPortrait of the family of the Grand Duke of Hesse-Darmstadt Ludwig IV and the Grand Duchess of Hesse and Rhine Alice.ily of the Grand Duke of Hesse-Darmstadt Ludwig IV and the Grand Duchess of Hesse and Rhine Alice. 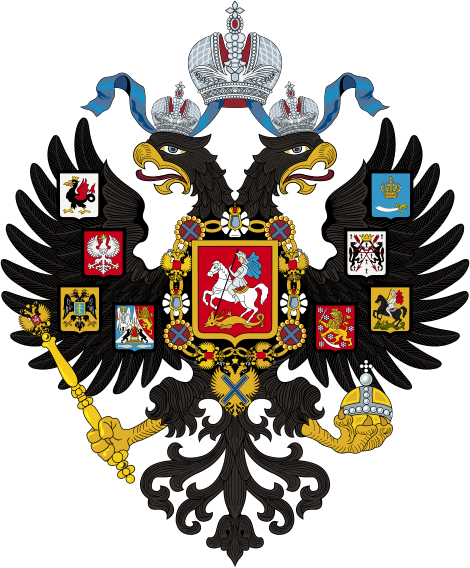 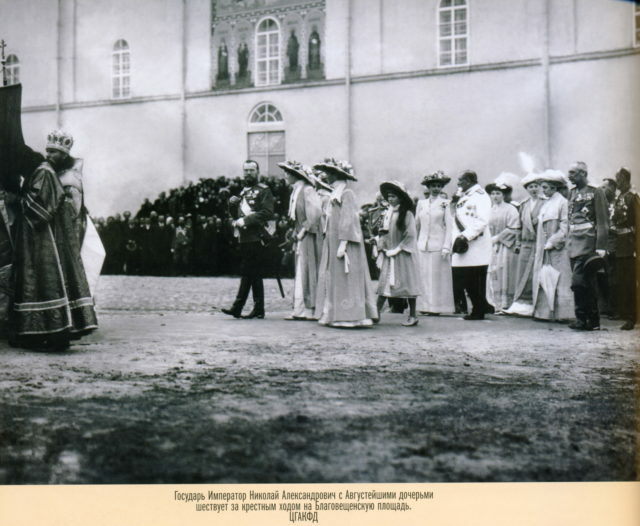 Celebrating the 300th anniversary of the Romanov Imperial House. 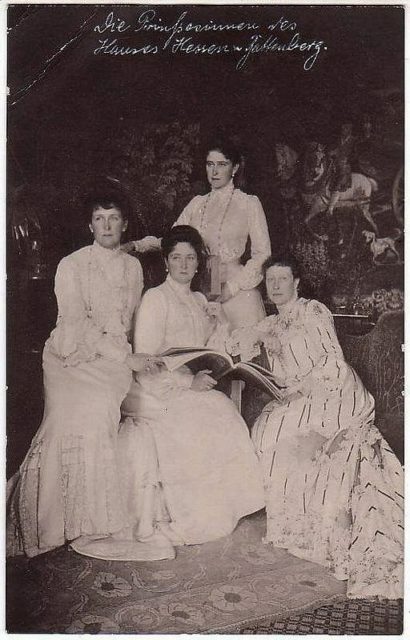 Hessian sisters: Princess Irena, Empress Russian Alexandra Feodorovna, Grand Duchess Elisaveta Feodorovna (standing), Princess Victoria. 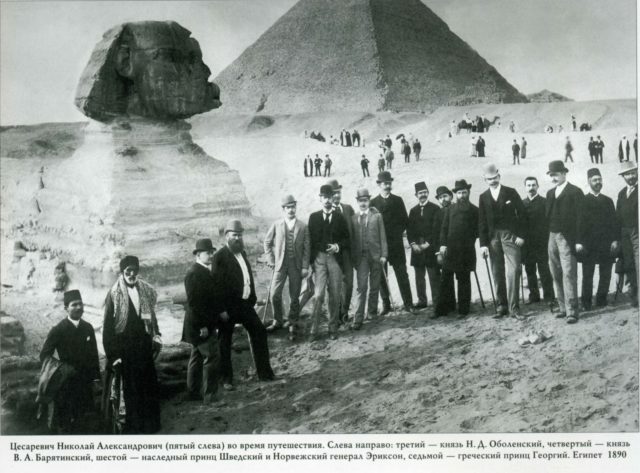 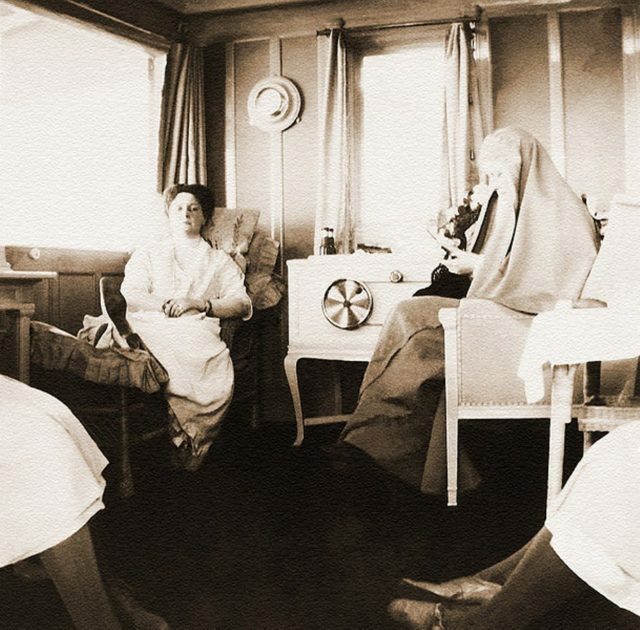 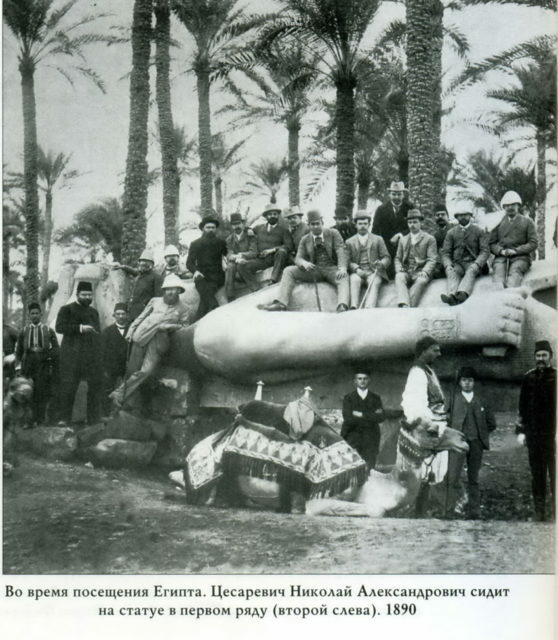 His Imperial Highness Nikolai Alexandrovich (future Emperor Nicholas II) while traveling to the East.Egypt. 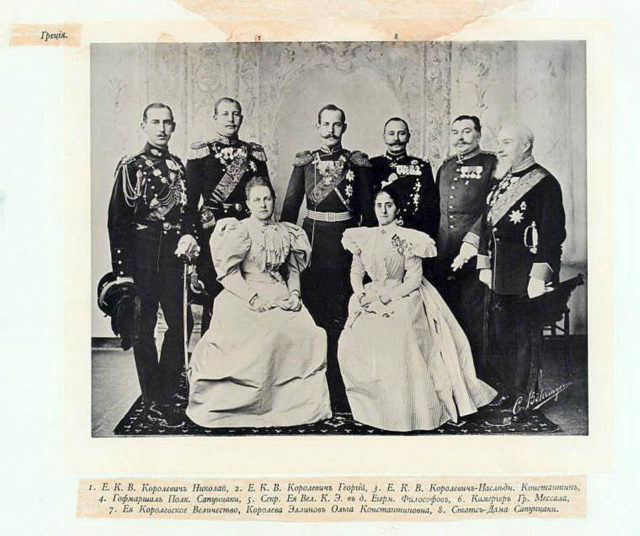 The year 1890. 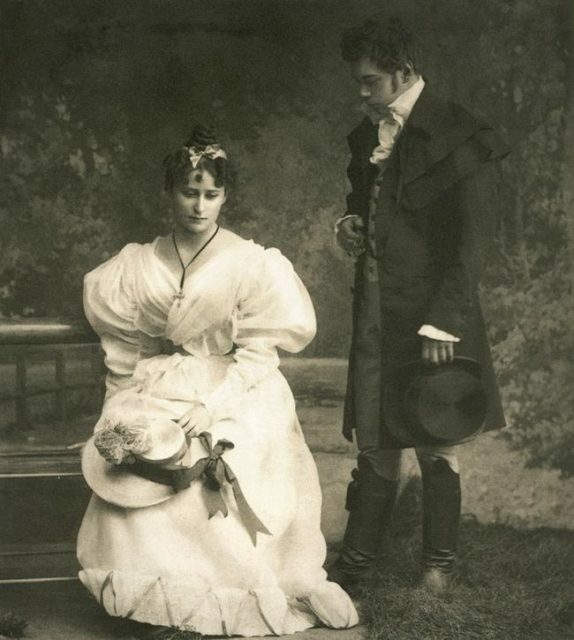 A scene from an amateur performance "Eugene Onegin". 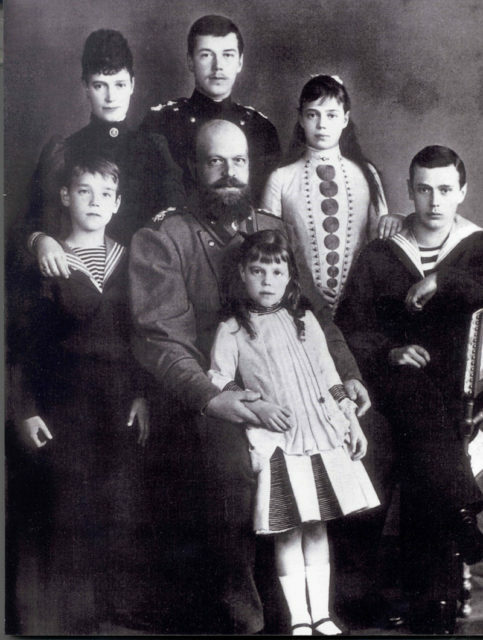 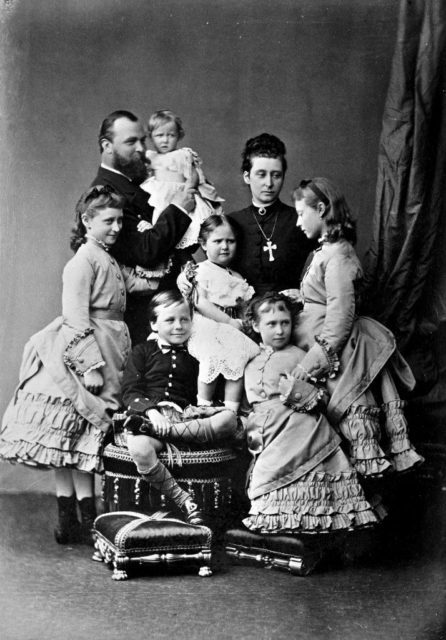 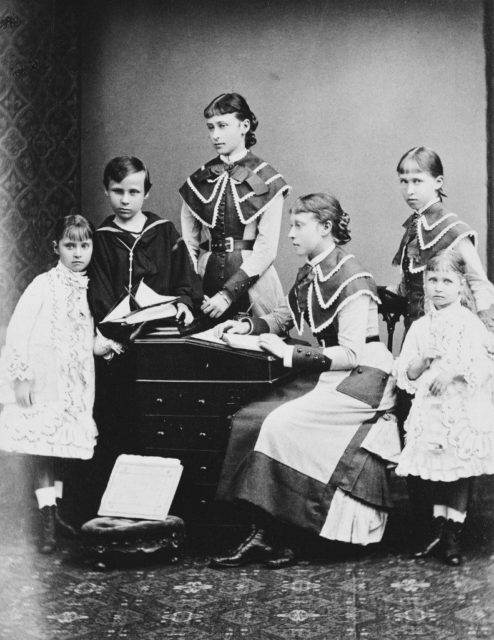 Emperor Alexander III with Empress Maria Feodorovna (Dagmar) and children. 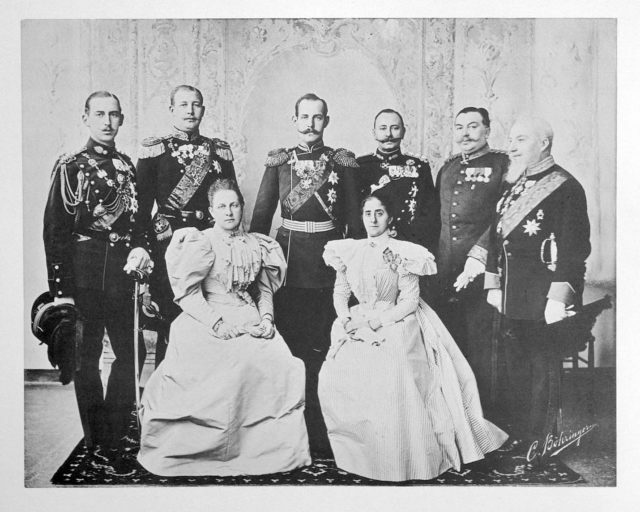 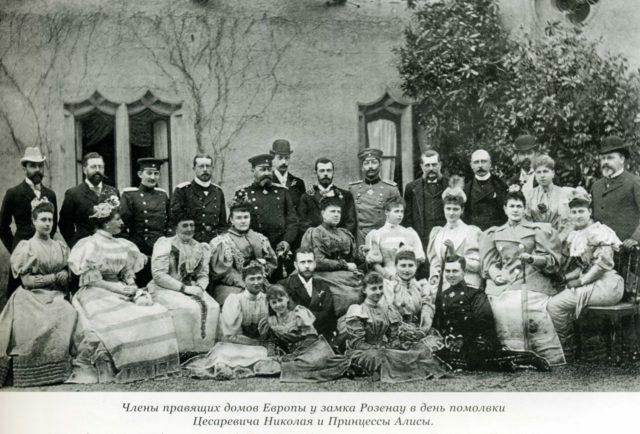 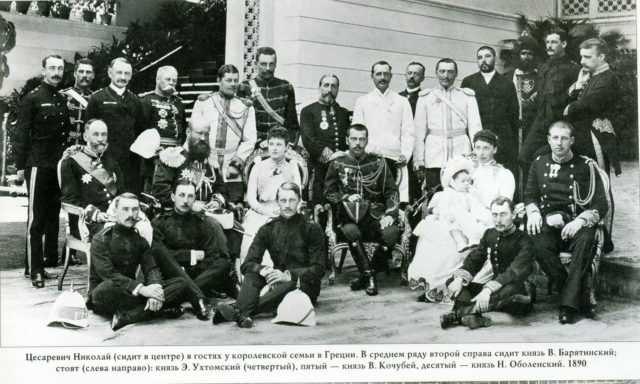 Members of the Imperial family before the Livadia Palace. 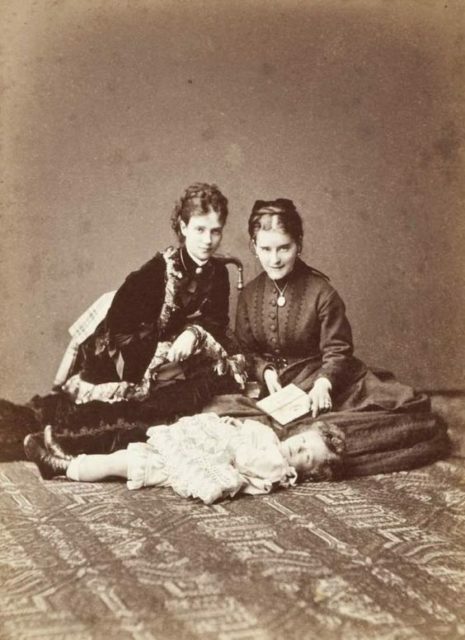 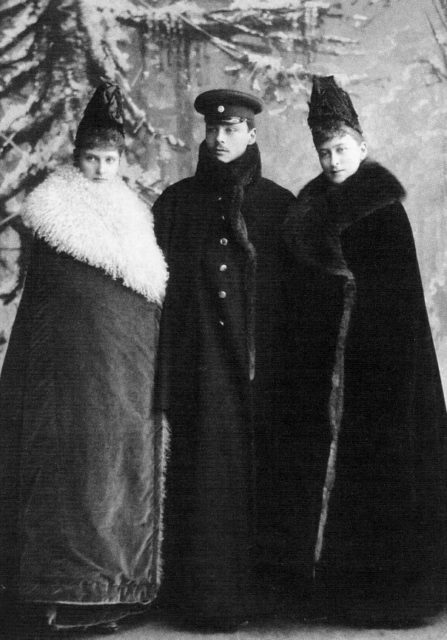 Tsesarevna Maria Feodorovna (Dagmar) with her son Grand Duke Nikolai Alexandrovich and mother, Danish Queen Louise (right). 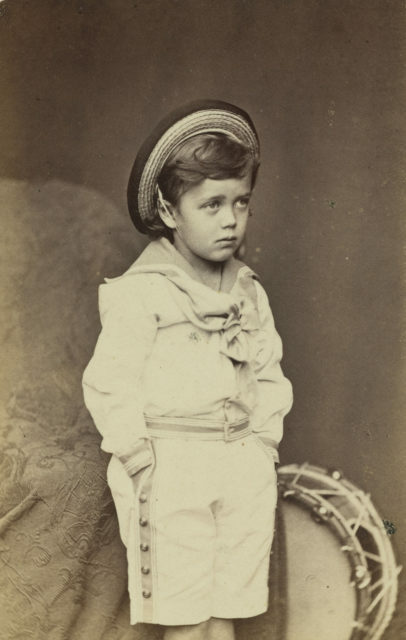 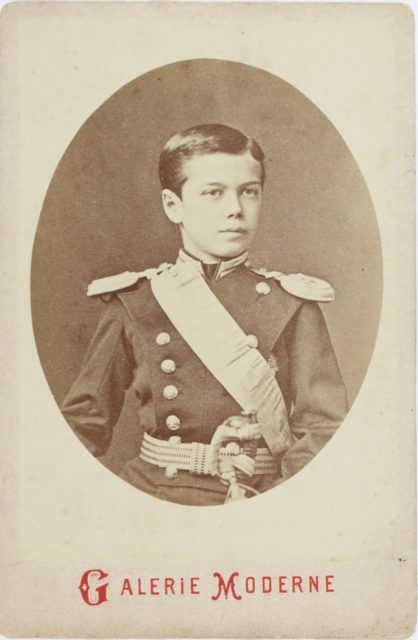 Tsarevich Nikolai is visiting a royal family in Greece.